We had a fabulous time enjoying this beautiful July day outside. 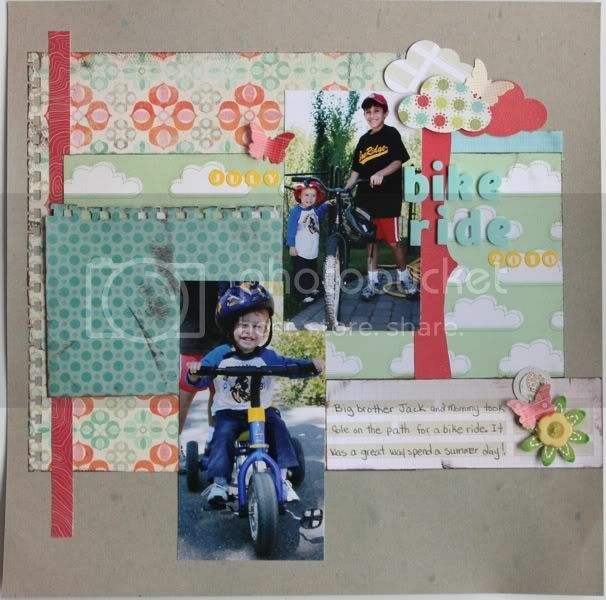 Jack was tickled pink to take Cole on a bike ride. I glimmer misted the kraft cardstock and then added layers of WRMK patterned paper and a bit of Studio Calico paper as well. I put my Fiskars cloud punch to use and finished off with Thickers and Jenni Bowlin alphas, Jenni Bowlin butterflies and Sassafrass blossoms.